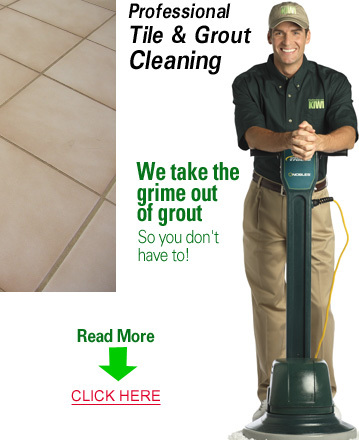 Your Red Oak KIWI Tile & Grout Cleaning solution guarantees that your gritty, scaly, grungy-looking tile and grout will literally transform before your eyes! At KIWI, our Tile & Grout crews come all prepared to extract that gunky looking (and bacteria-laden) crud from the joints between your tiles. We use only specially formulated for KIWI cleaners and freshening agents to ensure that particles get loosened, brought up, and removed. Our Tile & Grout Cleaning abrasive techniques are gentle. But they’re supremely effective at getting rid of the bad stuff that makes your Red Oak home’s tile and grout look, well, less than flattering. This is not your everyday job that most homeowners do at least on a weekly basis. This isn’t mopping down your shower stall or running a mop over your ceramic tile floors. No, this is extensive and intensive (but gentle) cleaning of the accumulated dirt, grime and bacteria-causing particles that only professional help can accomplish.That’s where your KIWI professionals come in. Call us today and we’ll leave your Red Oak home’s tile and grout fresh, clean and like-new condition. Call today!